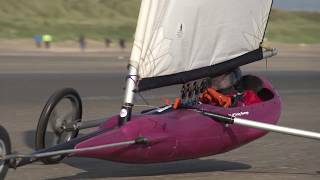 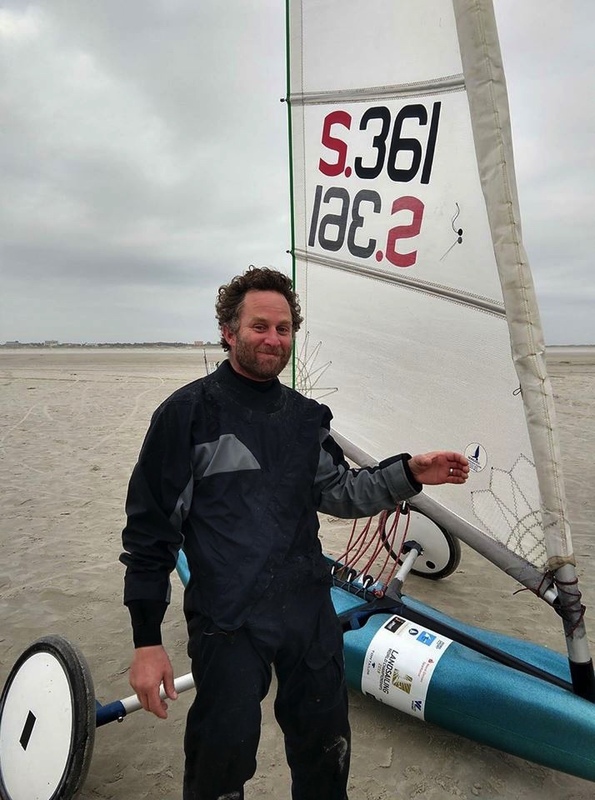 IPKSA member Graeme Grant topped of his race win at the World Landsailing Championships in Sankt Peter Ording, Germany with an overall 3rd place in Class Standart. 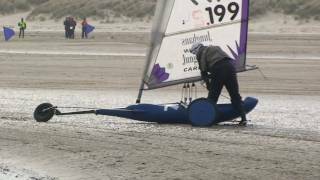 Graeme started landsailing with the IPKSA on Bettystown beach in 2016. 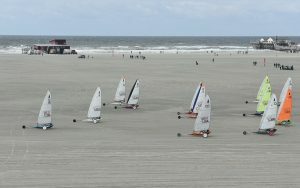 Graeme is seen here leading the fleet in his STANDART Class sandyacht on Sankt Peter Ording beach. Take a look at a synopsis of the 1st Race from the perspective of Team Ireland member Alan Watson in the following video link. 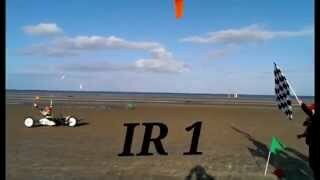 Delighted with his win Graeme Grant , Standart pilot IR 361. 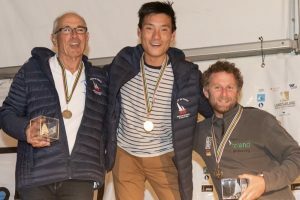 World Champion Kevin Mingot from France (centre), 2nd Dominique Pageot , France (left) and Irelands Graeme Grant 3rd (Right). 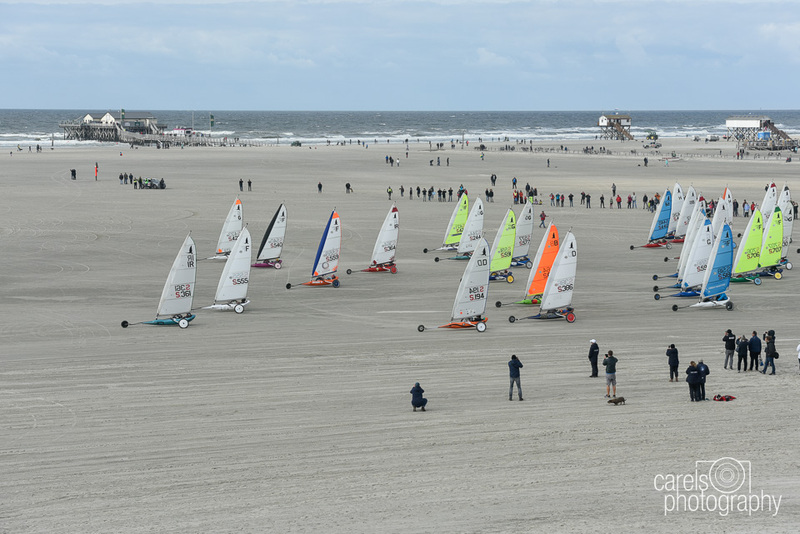 2018- 2019 IPKSA try it days and events – Provisional Calendar, subject to permissions.